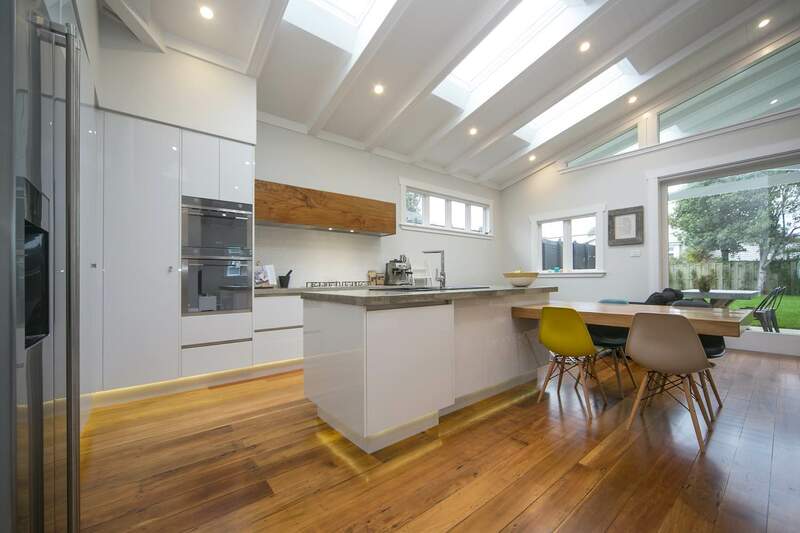 Tips for ergonomic kitchen design | Qualitas Builders | New builds & renovations in Auckland | Quality you deserve! 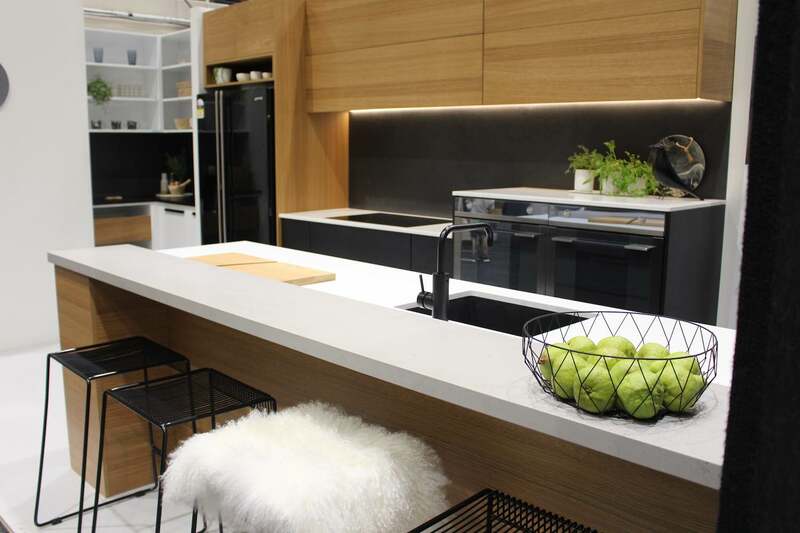 Considering how much time you’ll spend in your new kitchen, it makes sense to ensure it’s ergonomically designed. By tailoring it to your needs, you’ll have a kitchen that not only looks great but is a productive, efficient and comfortable workspace. For optimum workflow, a traditional kitchen layout places your cooktop, fridge and sink at the three points of a triangle. While this design principle still applies, today we tend to have a lot more appliances, such as microwaves, dishwashers and coffee machines, so it makes sense to create task orientated zones. Say goodbye to having unused and forgotten items lurking in the back of your kitchen cupboards. When you open a drawer, you can see the contents at a glance and easily access everything. Choose runners that can carry heavy weights, and you can use your drawers to store anything from pots and pans, to plates and pantry items. Standard benches are 900mm high, which can be uncomfortable and cause back pain for taller people. Consider customising your bench height; many people opt for 920mm, and even heights of 950mm or more aren’t uncommon. You could even vary your bench heights to accommodate different people or different tasks. Getting things out of a corner cupboard can be particularly awkward. 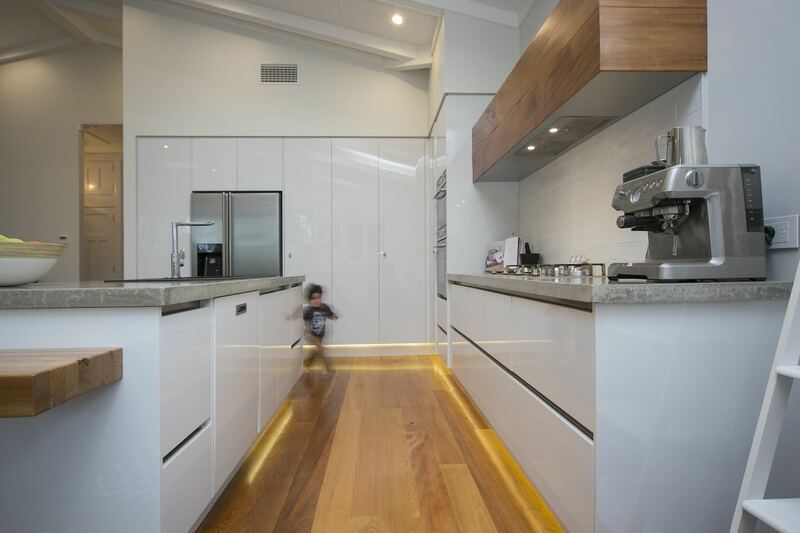 However, there are a great range of solutions that make access easy, such as a carousel which spins internal shelves around, door or slide mounted baskets, or the Le Mans system which swings a tray in front of the cabinet when you open it. Chances are you don’t often consider weight when you’re storing items, but you should. Make sure to store heavy things between hip and shoulder height, and medium-weight items no higher than your eye level or lower than your knees. Lighter things can easily be stored above your head or below your knees because you won’t strain yourself, or break your toe if you drop something. While concrete, stone and tile floors look amazing, long periods of standing or walking on them can be really hard on your feet and joints. For flooring that has some give, and is easier on your feet and legs, choose wood, rubber, linoleum, vinyl, or cork. If you do opt for tile or concrete, use mats or rugs wherever you spend a lot of time, such as in front the sink and stovetop. Use task lighting to illuminate your work surfaces and cabinetry so you can read recipes, safely prepare meals and easily find ingredients.